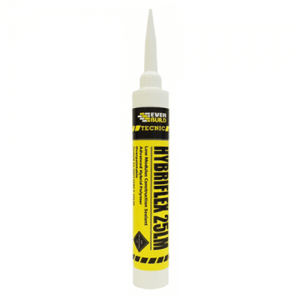 Ultrabond Super Grip is used for bonding baseboards and profiles in PVC, rubber, wood, gypsum, polystyrene and metal on all types of substrates normally used for building walls. 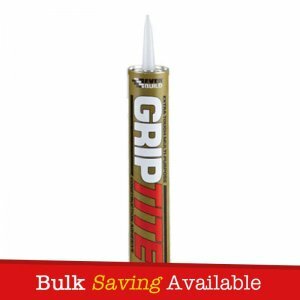 Ultrabond Super Grip is used in particular for bonding skirting boards, beading, decorative panels, cable trunking, insulating and soundproofing materials, trims around doors and windows and coating panels and for localised repairs in wooden and ceramic floor and wall coverings. 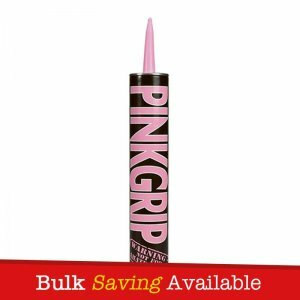 Ultrabond Super Grip has high initial bond strength, which makes it particularly suitable for bonding finishes on vertical surfaces without the risk of slipping (sucker effect), so the use of clamps and/or studs is not required. Mapei Ultrabond Super Grip is used for bonding baseboards and profiles in PVC, rubber, wood, gypsum, polystyrene and metal on all types of substrates normally used for building walls. Mapei Ultrabond Super Grip is used in particular for bonding skirting boards, beading, decorative panels, cable trunking, insulating and soundproofing materials, trims around doors and windows and coating panels and for localised repairs in wooden and ceramic floor and wall coverings. Mapei Ultrabond Super Grip has high initial bond strength, which makes it particularly suitable for bonding finishes on vertical surfaces without the risk of slipping (sucker effect), so the use of clamps and/or studs is not required. – For deformable bonds where high initial tack and a strong final bond are required. 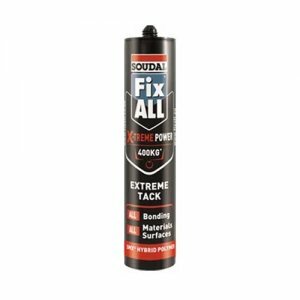 – May be used to replace or supplement traditional mechanical fasteners when constructing and assembling components and trims in the building and industrial sectors. – It is ideal for bonding building materials such as wood, cement-based products, bricks, gypsum, polystyrene, polyurethane, cork, PVC and metal on dry, absorbent internal substrates. – Ultrabond Super Grip is used in particular for bonding skirting boards, beading, decorative panels, cable trunking, insulating and soundproofing materials, trims around doors and windows and coating panels and for localised repairs in wooden and ceramic floor and wall coverings. 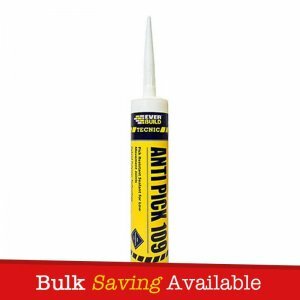 – The product has excellent filling properties and is also suitable for filling small cracks. 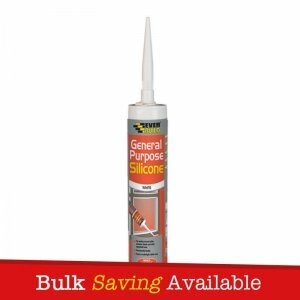 – Ultrabond Super Grip has high initial bond strength, which makes it particularly suitable for bonding finishes on vertical surfaces without the risk of slipping (sucker effect), so the use of clamps and/or studs is not required. 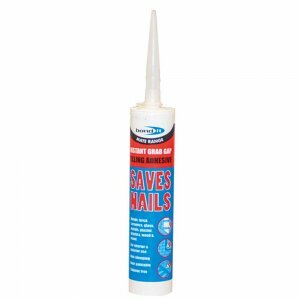 – Once hardened, Ultrabond Super Grip has excellent resistance to damp and heat. – Ultrabond Super Grip is solvent free, does not give off unpleasant smells and has very low emission of volatile organic compounds and is certified therefore, EC1 Plus by GEV Institute.